It's interesting to see how ramen moves from reality to virtual space and back to ramen again. 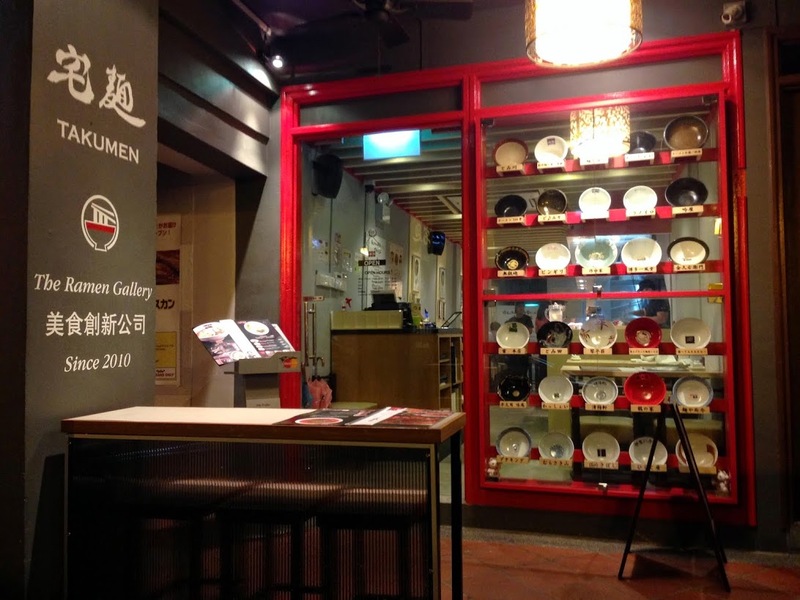 Japan's online ramen delivery store, Takumen, has launched its first restaurant not in Japan but in Singapore. Small, brightly lit and minimal, the space is just like a typical ramen-ya in Japan, minus the enthusiastic welcome shouts and loud slurping noises. It currently showcases the signature bowls from 6 famous ramen shops in Japan, each prepared from scratch by one single Japanese chef who has amazingly mastered all the secret formula and recreating the same quality to the smallest detail in the tiny kitchen. Ramen is hardly the lightest grub out there and this perfectly oily chicken-broth based ramen by Hajime is no exception. My mouth tells my brain to go on because the broth is pretty flavorful but my eyes tells it to stop because the layer of glistening oil globules is too conspicuous to go unnoticed. This is a dilemma that has yet been resolved but this is the most competitively priced ramen at $14.90. On the side note, the thick chewy noodles did not provide much satisfactory texture compared to the rest, though the "Chicken Char Siew" or chicken breast meat was indeed tender. 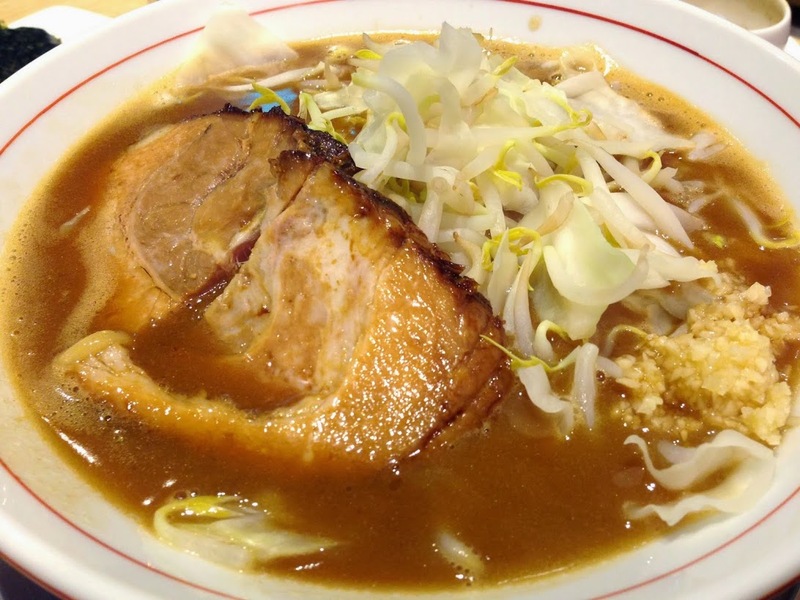 Ramen Jiro is a ubiquitous Tokyo brand that has earned a cult status for its unmistakable mountain of vegetables toppings and eye-poppingly thick rounds of char siew. However, this Jiro-Inspired Ramen from Chibakara ($18.90) looks wimpy in comparison and the meat was tough to chew on the rims, though there was still hearty helping of bean sprouts and sweet cabbage. After giving it a good toss, it does reflect a stark resemblance to our local "Lor Mee". Diners can choose to customize any ramen here for the healthier "Singapore" version (less oil and salt) and we decided to experiment with this bowl. Yet the flavor after customization remained persistently rich and mellow, and I could imagine how robust it would be if we had the original Japanese version. For the Tonkotsu purists at heart, Honda Shoten’s Ramen Kurume ($15.90) proved a truly wise investment of calories. 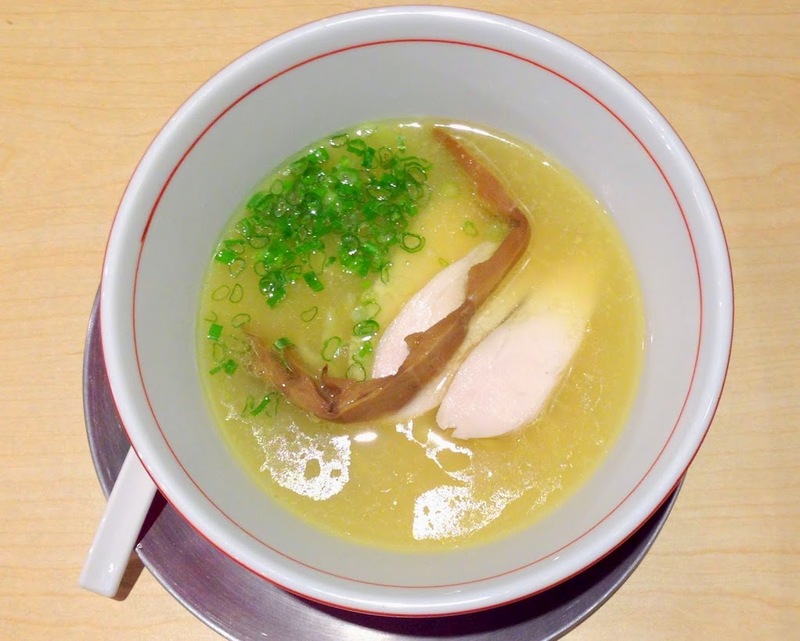 It's difficult to argue about the quality of the broth with this shop that hails from Kurume, the city that gave birth to the first Tonkotsu broth in Japan. The bowl is indulgently rich and full-flavored, finished off with two thinly sliced gelatinous char siew that would send you to porky wonderland. But the silver shreds of sour ginger pickles, sesame seeds and crunchy black fungus pulled everything back to reality, leaving a first-rate aftertaste. 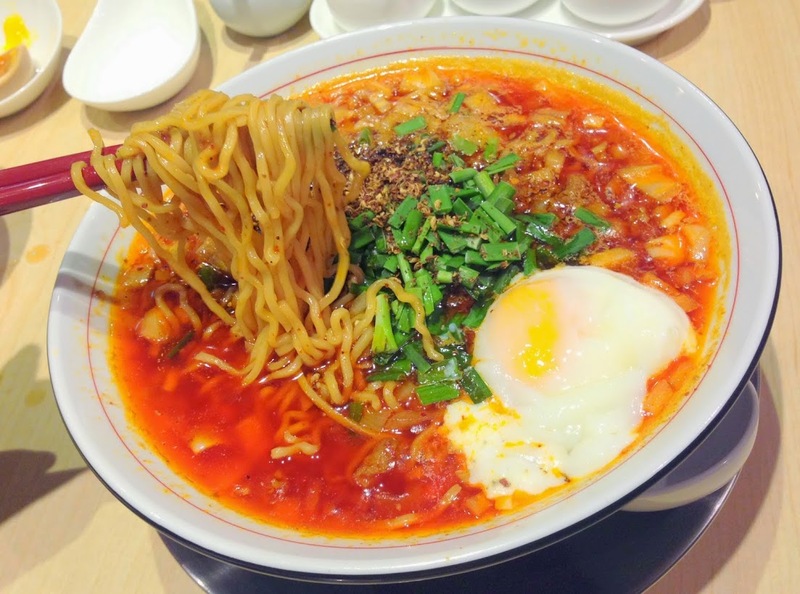 Can ramen ever be spicy? 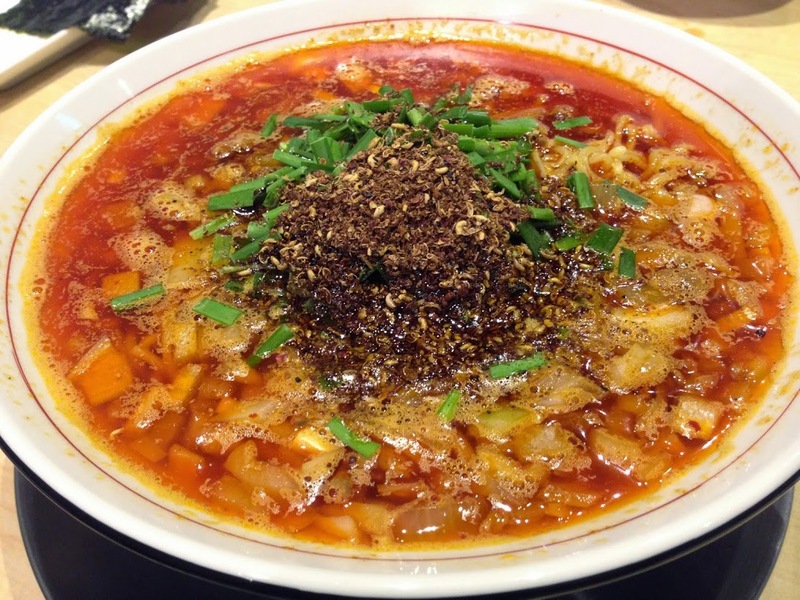 Yes, when the noodles are not doused simply with mild Japanese ra-yu (chili oil) but attempt a bold and dangerous affair with grinded Sichuan peppercorns that sat afloat the dark red broth. No, I'm not exaggerating to say that this Katsura-style Tantan noodles from Bingiri ($19.90) is a flavour bomb. The spiciness did not really hit at first but built up as I worked on it and my tongue eventually went into temporary numbness. Yet the heat was so addictive and I caved in again. One amazing fact is that the spicy chilli oil is intensified with not one but THREE kind of pepper and blended with soy sauce base instead of sesame paste. To put off the fire in the tongue, one can munch on the sweet crunchy onions whose supply seemed to be endless in the large bowl. 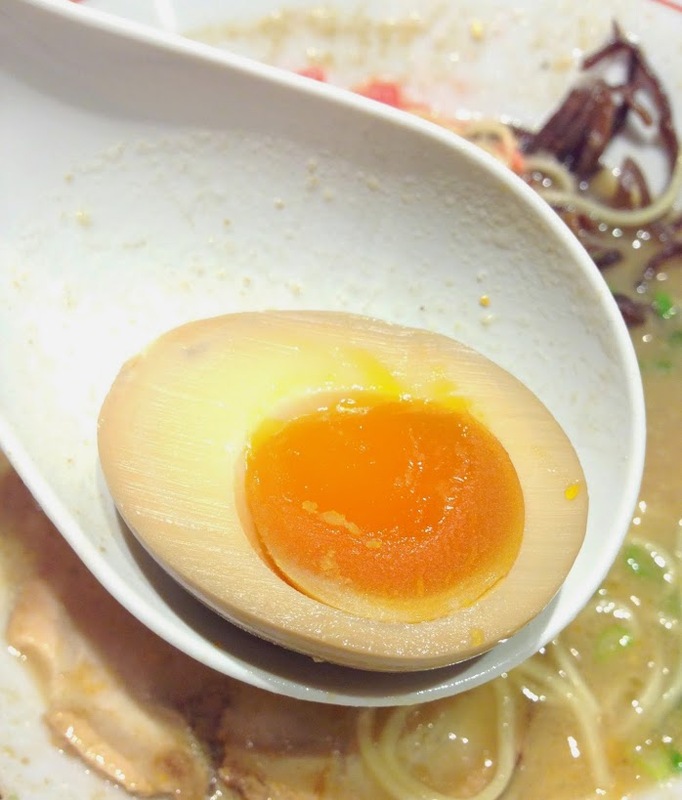 Alternatively, top up $2 for that beautiful onsen (soft-boiled) egg, which really helps to mediate some of the heat. On the hindsight, the more commonly seen parboil egg was slightly overcooked that day. The basic version of all noodles here does not come with any soft-boil eggs or parboiled eggs. However, I doubt this is a major problem since most self-respecting ramen fans would not bear to miss it. 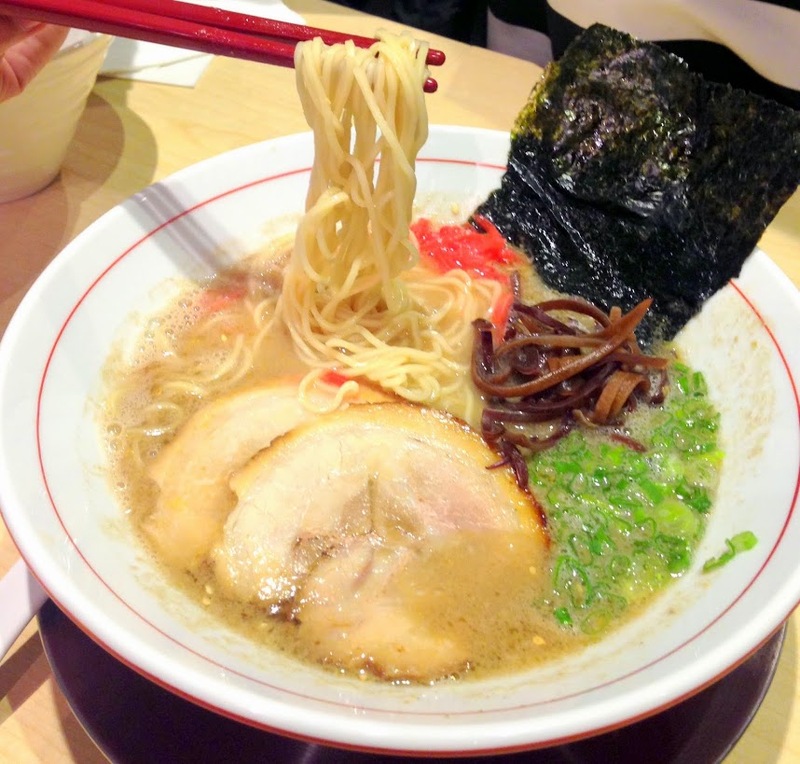 A second outlet has already opened one day after this first outlet and given Takumen's impressive online inventory of over 100 ramen, it is not surprising if these prized 6 ramen spots will be filled up by new brands in 2015. I wait eagerly to see what will be up next. Written and Photograph by Li Tian, a passionate foodie behind Singapore-Japan Food Blog “Dairy & Cream”. Has an eye for pastries and desserts.